New players at Betfred can take advantage of an exceptional new offers when signing up. Here is a breakdown of the bonuses you can choose from when using your Betfred promo code 2019. To get started, use the button below to access the Betfred site and get the promo code (terms and conditions apply). What can I get with the Betfred Promo Code? Note: The Betfred promo code given above is valid for new users for all of 2019. Click the button below to reveal the Betfred promo code. You will be redirected to the Betfred website. Click on ‘Claim now' to open the sign-up form. 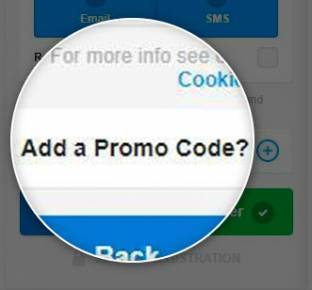 Enter your personal details and fill in the ‘promotion code' field. Once registered, place a qualifying bet of at least £10 at odds of 2.0 or greater. Your £30 in free bets will be credited within 48 hours of the qualifying bet being settled. Note: By clicking the button above the Betfred promo code will be automatically activated. Remember the main requirement to obtain your £30 in free bets and 30 free spins is to place a £10 qualifying bet. 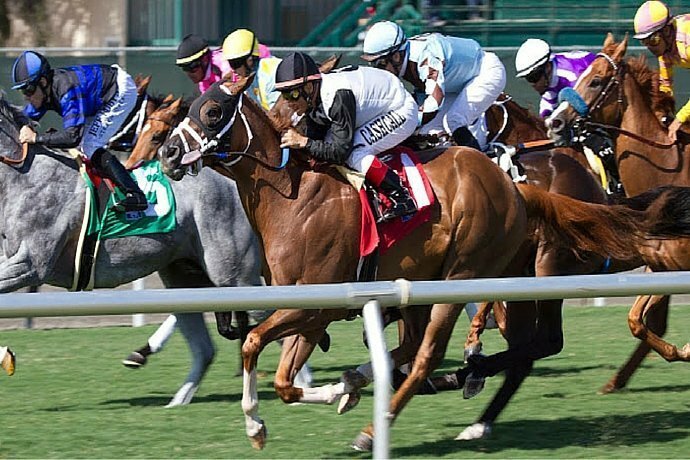 Let's look at which bets qualify and a few other conditions that you need to know about. Qualifying bet must be at least £10 and settle within 60 days of your account opening. Whether it is a single or multiple, the cumulative odds must be of 2.0 greater. If your first bet is void, you will not qualify for the free bet promo. Free bet stakes will not be returned with any winnings. Only UK users (including Northern Ireland) are eligible to use the Betfred promo code. To enjoy the 30 free spins, players must access the Betfred Casino section in 3 days and accept the offer. No wagering requirements needed for the free spins. The value of the free spins is of 1p per payline on selected slots. Tip: The main thing to look out for is that you meet the odds conditions on your qualifying bet. An odds-on single won't make the cut, so hunt around for a decent-value selection at just over evens. Or, if you're feeling more adventurous, try a longer odds shot – if it doesn't come in, you'll still have the £30 free bet balance to play with. The offer cannot be used in conjuction with any other welcome bonus from Betfred. Your 50 free spins will be credited automatically to your account if you access the casino section within 7 days after becoming a registered customer. A maximum stake amount of £10 must be undertaken on slots (5 rounds minimum). Not all games and types of bet contribute equally to wagering requirements. Failure to meet any of these conditions could result in the bonus and any winnings being removed, so be careful when playing. The “Bet £10 Get £30 and 30 free spins” Betfred promo code offer is a brand-new offer that aims to give new players a great value way to start betting with the UK bookmaker. £30 in free bets is an amount that can only be beaten by a small handful of other bookies. With a 30 free spin bonus on top of that, it's even better now, meaning it's a great time to sign-up as a new player. The minimum qualifying bet to qualify for the sportsbook welcome offer is of £10. Of course, you can choose to make a higher qualifying bet if you wish, but to get the best free bet, you should stick to the minimum of £10. If your first bet comes in, you will be freerolling from that point on with the remaining free bet balance. We particularly like the Betfred promo code as the offer allows you to use the free bet balance exactly as you wish. So if you wanted to make 30 different bets of £1 each, you would be allowed to do so. Other bookies with similar offers tend to make you use the free bet amount all in one go, or split the amount into 2 or 3 ‘tokens’. In those cases, if you don’t use the free bet or token value in full, the remainder is discarded, which would be a waste. On the other hand, it’s somewhat a shame that the qualifying bet must be at evens or greater. That might put off cautious bettors who like to back odds-on selections the majority of the time. But perhaps we’re nitpicking too much there: a multiple will still qualify you, as long as the cumulative odds meet the requirement. So it’s still pretty easy to get your £30 in free bets and 30 free spins, without taking a massive risk on your cash. All in all, the Betfred promo code is a solid offer for new customers and we encourage you to take full advantage! Betfred started out as a single betting shop in Salford in 1967, run by Fred Done and his brother Peter. Ever since, the company has grown by acquiring and opening new shops. 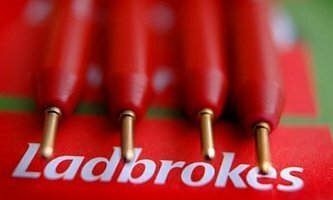 Now it claims to be the ‘world’s largest independent bookmaker’, with around 1,400 shops in the UK. Horse racing enthusiasts may already know that Betfred bought The Tote from the UK government in 2011. Many football punters will be familiar with Betfred’s promotions, such as ‘Double Delight’ and ‘Hat-Trick Heaven’, as well as the ‘Goals Galore’ coupon for Both Teams To Score bets. The company tagline is “You’ll love a bit of Betfred” and you certainly can’t go wrong with a the Betfred promo code. Many of thes Betfred promo codes and offers apply both in shops and online, where you can find a full range of betting and gaming services, like casino, bingo, poker and much more. Like all decent bookmakers, Betfred offer betting on a wide range of sports, from the most popular like football, tennis and horse racing, to the more niche disciplines such as handball, bowls or Gaelic football. In the sportsbook section, you can also find specials on politics, awards and TV shows, as well as lottery bets. The range of betting markets available comes up a little short compared with the other biggest bookmakers around. There are less markets per match in major sports like football and tennis, when compared with Bet 365 and Betfair. You won't find massive differences in odds between Betfred and other sites, especially for big betting events. This is not a negative thing, it's just because the markets are so close that it would be risky for a bookie to give out even lower odds on a selection. Look at it this way: most of the time, you won't be getting an inferior price when betting with Betfred. Tip: you can use the Betfred promo code on any of these betting markets. It's easy enough to find your way around the Betfred sportsbook, with handy quick links available on the main page to get you to the most popular betting events like Premier League football, European matches and the day's races. Sometimes you have to click a couple of times more than expected to get where you want to, but on the whole it's intuitive and you shouldn't get lost. The main live betting events are displayed right away, so if you need to get your bet on quickly in-play before the odds change, you should have no trouble getting on. We can't help feeling that the design is a little out of date though. It seems like it hasn't changed in years, standing still while other comparable sportsbooks have innovated with sleeker new upgrades. 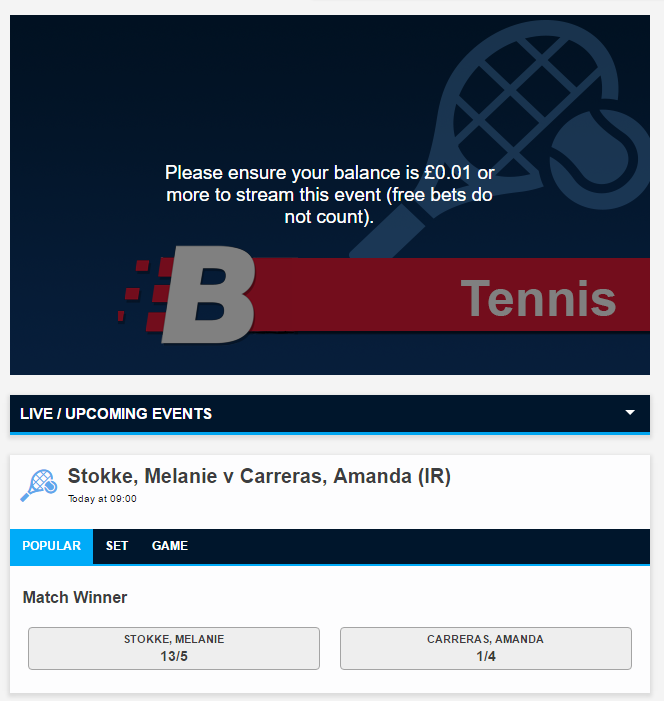 The background, menus and betting market screens are somewhat bland, which isn't the most important thing when you are betting, but still we always prefer a more visually attractive site. We all know it matters more when there’s money on it, and in many ways watching sports and having a cheeky bet go hand-in-hand. Let’s look at the Betfred streaming offer and which sports you can watch live online with this bookmaker. The ‘Watch Live’ button can be found on the horizontal menu along the top of the Betfred homepage, tucked snugly in between ‘In-play’ and ‘Casino’. From the main ‘Watch Live’ page, you are prompted to choose between watching live sport, UK & Irish racing or looking through the live streaming FAQ. Take that with a pinch of salt, as you won’t find year-round coverage of those sports on Betfred. It does give you an indication of the kinds of sport you can watch throughout the year though. Let’s face it, you’re unlikely to plan your day around watching live streaming on Betfred but, if you’re in luck, you’ll tune in at a time when your favourite sport is being covered. There will often be several matches in a short space of time, for example during a tournament which lasts a week or two. As usual with these services, you must have a positive balance in your Betfred account in order to watch sports, while a £1 bet is required to stream a horse or greyhound race. Like they say, there’s no such thing as a free lunch! The selection of football competitions covered is rather limited, but tennis fans on the other hand will be more satisfied. The 2016 US Open was shown live, while other matches from the International Tennis Federation are also streamed on a regular basis. Once you have used the Betfred promo code, there are still other offers to be claimed. 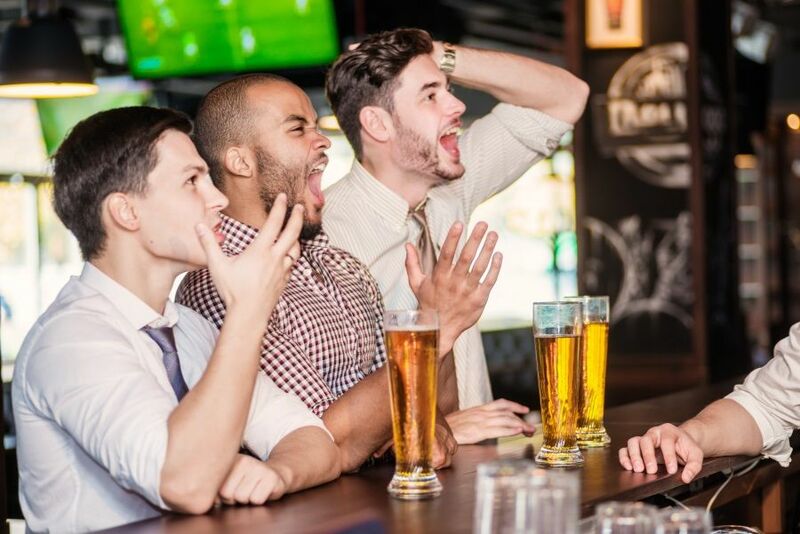 OK, so bookie promos for existing customers tend to not be as generous as the welcome offer, but they can still add extra excitement to following your favourite sports events. Betfred is well known for its Double Delight and Hat-Trick Heaven offers, which are basically enhanced winnings on first goalscorer bets in football. If your selection scores the first goal of the match and then goes on to bag a second, you'll get paid out at double the odds in cash. Should they then complete a hat-trick, you would get triple the odds. If you like to bet on first goalscorers, this is a good way to gain some extra winnings from time to time. Plus you'll be really getting behind your chosen player to score again! The Double Delight promo has also been extended to other sports from time to time, such as rugby league and American football. Accumulators are another big favourite for bookies running promos, as many young bettors like to get stuck in ahead of the weekend's football. For example, you can get your stake refunded as a free bet if one team lets you down on your acca with 6 or more selections. There are also free bet prizes available for members who get the biggest odds winning accumulator every month. Finally, there are many horse racing offers, as you might expect from a company of Betfred's origins. These include money back if your horse finishes second to the SP favourite at selected races, as well as Best Odds Guaranteed, cash out and bonuses on Lucky 15s, Lucky 31s and Lucky 63s. Keep an eye out for these offers, as they can change from time to time, and you may come across a special offer on for a limited duration only, such as during an annual or biannual sporting event. If you want to hear about promos and free bet opportunities, make sure you opt in when signing up for the Betfred promo code offer. The operator also offers members the following promos for poker, bingo and casino games. A Betfred promo code bonus for new customers is available for the Casino section of this site. The current available offer is: Stake £10, Get 50 free spins. To claim this offer, remember to enter the relevant promo code where necessary and meet the conditions of the offer. Bear in mind any wagering requirements that apply; a pop-up will appear which you must accept in order to be eligible. The operator also offers members the opportunity to play online poker and take part in tournaments. Joining using the Betfred promo code, you will be eligible for the Bet £10 Get £40 bingo offer. You must deposit and spend at least £10 on bingo tickets within 30 days of registering, then your £40 in bonuses will be added. The details are as follows. Whether your game of choice is sports betting, casino, poker or anything else, you will need to deposit up front in order to bet online with Betfred. This is applicable either if you sign up using the Betfred promo code or not. Funds in your Betfred account are divided into cash, which can be used on most sections of the website (Sportsbook, Pools, Bingo, Games, Virtual, Lotto), and chips, which can be used only for Casino and Poker. You can transfer back and forth between these two if you wish. For each type of payment, minimum/maximum limits apply so check the Betfred website. You won't incur any transaction fees with Betfred, but be aware that you can only have one free deposit per day if using Neteller or Moneybookers. Any additional transactions on top of that could be charged a fee of 2.9%. Tip: Using some payment methods will make you ineligible for Betfred promo codes and welcome bonuses, so bear that in mind when making your first deposit. See the terms and conditions towards the top of this article. Get stuck trying to use your Betfred promo code? Fear not, the bookmaker has an extensive help section on its website and you can always contact their customer services if needs be. When clicking on ‘Help’ from the homepage, you are directed to the help section. By default, a betting glossary appears, where you can search for betting terms from A–Z. We find it hard to believe that is what most people need when they go to the help section, so it’s a slightly surprising choice of landing page. In our view, these categories are more likely to help you solve your query than the betting glossary that takes up most of the page. It’s also a shame that the ‘Top FAQs’, situated underneath these categories, only features one question at the time of writing. Most other bookies have around 10 FAQs on the main help page, so you can click directly through without getting lost. Clicking on ‘Contact Us’ takes you through to a page where the main phone numbers, email addresses and postal addresses are listed. 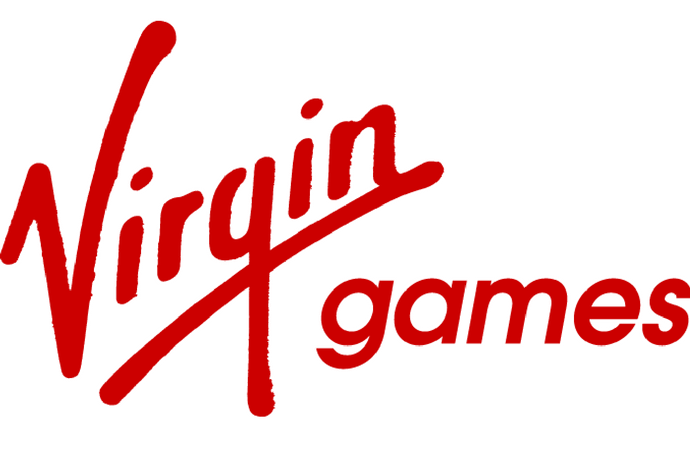 We like that there are different email addresses for each kind of game, like poker, casino, games, bingo etc., as this at least gives the impression that your request is handled by someone who specialises in that area. On the other hand, it’s not always clear which email address you should use for sports betting, as there are several which could in theory overlap, in additional to the generic support address. The live chat icon can be found in the bottom corner of the screen and, after clicking on it, you will need to select the main category for your query and fill in a few details (name, email address and nature of the query) before being connected to a customer services representative. Live chat is available 24/7 and is a good way to sort out issues quickly e.g. if you need to get a bet on right before a match starts or are having probably validating your Betfred promo code. Betfred seem to avoid encouraging players to get in touch on social media. Unlike some of the other top bookies, they don’t have a customer service account on Twitter and their Facebook page simply says you should contact customer services by another means. This wouldn’t bother us, but it might be a disappointment for some big social media users. In conclusion, we think the Betfred help section could be easier to get around but the most important is of course the quality of customer sevice. From our experience, Betfred are always very helpful and it’s rare that you have to wait long for them to sort things out. Don’t hesitate to contact them if you need to when using your Betfred promo code, or when betting with them generally. Quickbet: perfect for live betting. Activate the option in your settings and don't miss a second of live action with the lightning fast betslip and validation systems. New navigation: great for multiple betting. Need to navigate between several live events (Champion's League, simultaneous horse racing events, and more)? Improved navigation means less time getting to the events you want to check and more time watching the event(s). Correct score: advanced punting made easy. Get those tricky lists of bets with multiple options right the first time around with an ergonomic layout to facilitate your odd-scanning on small mobile screens. Improved betslip: predictive betting. Keeps your favorite bet-types one click away, so you can get where you need to be without loading times. 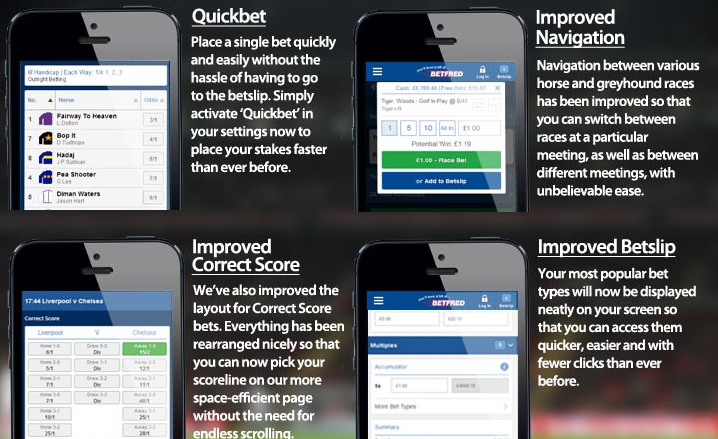 If you're keen to know more, here's Betminded's in-depth review of the Betfred app. The Betfred promo code can also be applied when using the bookmaker's app. Refunds on tournament outright bets on England if they went out on penalties. Free bets every time your top goalscorer selection scored during the tournament. 10% winnings bonus on group winners 6-fold accas. Regular Double delight and Hat-trick heaven enhanced odds on all matches. The Betminded staff find Betfred to be a particularly alluring option for sport bettors. Horse-racing fans and greyhound aficionados especially will find in Betfred's offer all that they require and more from a betting operator. With that in mind, it seems that while the casino and poker room are good, they are more geared towards sports betting fans looking to diversify their punting rather than a serious option for amateurs of either of the 2 genres. This should come as no surprise as the Betfred new customer deals are particularly advantageous and the casino and poker offers are respectively equal and below offering by sites with similar offerings. With a free bet and free spins bonus for all new customers, signing up to the site using the Betfred promo code is a great introductory offer and the ideal way to see if the operator fits you and your betting.